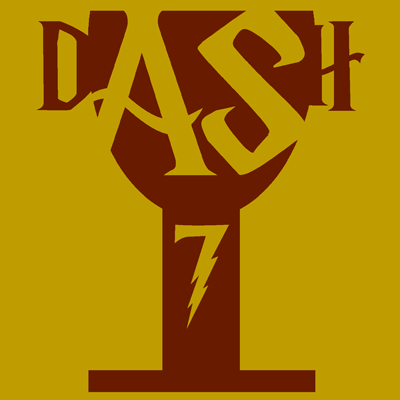 DASH (Different Area Same Hunt) is a one-day, walking puzzle hunt that takes place in multiple cities across in the US on the same day (and roughly at the same time, too). Your team will meet somewhere in the city of St. Louis, then spend the day solving puzzles at different sites in the area. Check the Puzzles menu on this page for examples of previous DASH hunts. What do I need for a team? A team is 3-5 players. "Expert" teams solve the full, unsimplified, version of every puzzle, and compete for a spot in the national rankings. "New" teams solve slightly easier versions of the puzzles. "Junior" teams must be a group of kids ages 10-14, accompanied by a chaperone who will not help solve puzzles. Junior teams solve simplified versions of the puzzles. Please check with the local organizers to make sure they are providing a Junior track before paying for registration. It depends heavily on the experience of the team. Typical teams should expect to take 5-8 hours to complete the entire hunt, but the top teams can finish much faster. Your team’s score is based only on puzzle-solving times, so you can (and should) take breaks during the day. Of course! The DASH game control will be on site in each location to provide help in the event you get stuck. Hint scoring systems have been devised that encourage teams that need a nudge to ask for hints to keep momentum flowing. We want your puzzle solving experience to be a positive one, so we will be on hand to help. Expect to walk about 2 miles over the course of the day. One player on your team will need an Apple or Android smartphone, since DASH runs on the (free) ClueKeeper app. It’s a good idea to download ClueKeeper in advance and play through the demo hunts to familiarize yourself with the controls. Your other team members may also want to bring smartphones for research - internet searching is allowed during DASH. Bring puzzle solving equipment: Paper, pens and pencils for sure. You’ll probably want clipboards since some locations won’t have smooth tables to write on. Sometimes teams have used colored pencils, scissors, tape, rulers, graph paper. Bringing some water and snacks is recommended. Some puzzle locations will be near places to buy food (including lunch). Wear good walking shoes and weather-friendly attire. Please come prepared for St. Louis's ever-changing weather. You will be walking and puzzling outside for much of the day. In case of rain, the hunt goes on. In case of golf-ball sized hail, well, let’s hope that doesn’t happen again! Your registration fee is going towards puzzle creation, supplies, and the occasional tasty treat. Trophies and prizes aren’t part of the deal, but DASH is never about the destination, it is about the journey. If you are interested to see how your team performed against other teams around the country, nationwide results will be posted to the DASH website a week or so after the event. Also, it appears that if you are the top team in St. Louis for a couple of years, you win the job of running future DASHes! Who Is STL DASH 7? This year's St. Louis DASH is hosted by Bryan Clair ([email protected]) and Michael Goldwasser ([email protected]), two guys who work in the Math/CS department at SLU. We’ve played DASH a couple of times, and Patrick Blindauer passed us the torch after he ran DASH 4 and 5.